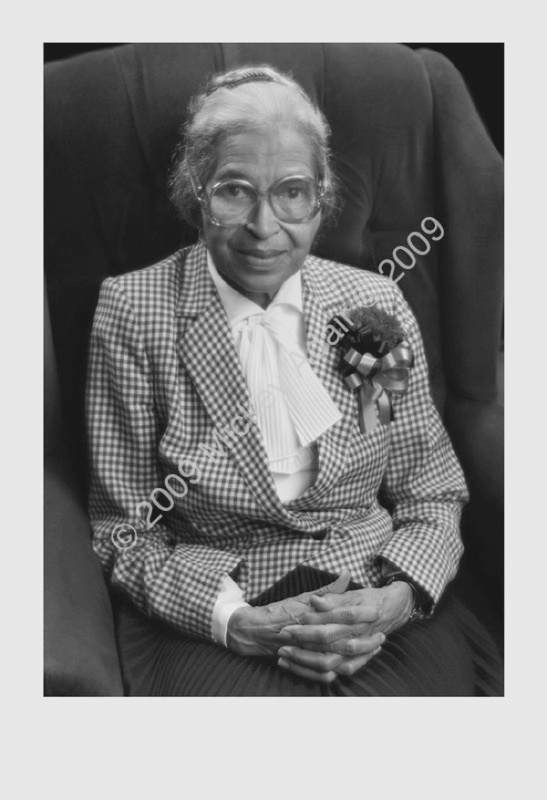 Rosa Parks poses on the stage of Ruby Diamond Auditorium after a MLK, Jr. day speech. I heard her tell the audience that many people mistakenly say that she wouldn't surrender her seat on that Montgomery bus because her feet were sore after a hard day of work. She said that she knew before she went to work that she was going to jail that day.